Active Commuting Cycling and Active Commuting Running were formed to promote cycling and running to work. Both clubs encourage people of all abilities to take part, and if you like to vary your mode of commuting; you can be a member of both. The clubs are primarily for fun and periodically will give away some freebies! The Active Commuting Clubs are hosted on www.strava.com. To join you will need to sign up to Strava and download the app. To participate you will need to have a smart phone. There is no charge to join either Strava or the Active Commuting clubs. You can connect with us directly via clubs on Strava. 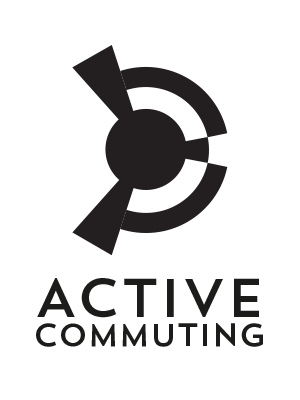 Or please send an email to clubs@active-commuting.com; include your name and Strava username and we will send you an invite. Want an Active Commuting Hub at work? Here are some reasons why active commuting is good for both you, and your employer. Why should an employer buy or hire a facility? 1. Reduces sick days, stress, health insurance costs and carbon foot print. 2. Excellent use of commuting time, active-commuters arrive at work more motivated. 3. Reduces demand for car parking and travel costs, environmentally friendly doubles as transport. 7. Regular cyclists and runners enjoy the general health of someone 10 years younger (studies). 8. Our solution and deployment strategy caters for all sizes of business throughout the UK. 9. Potentially there is funding and other incentives for companies who offer employees these type of benefits. Details of these can be best accessed through Cycling Charities, local Government departments, BIDs’ and your Council. They tend to be region specific. Active Commuting was founded for one reason. To provide secure bike parking, showers and lockers to enable as many active commuters as possible. There is not a one size fits all solution. Our solution is portable, adaptable, scalable and affordable. I want an Active Commuting Hub, what’s next? 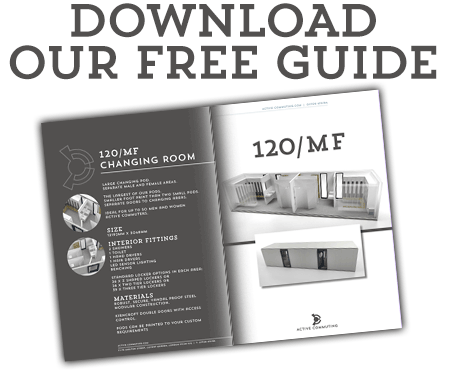 If you want to know more, or would like us to talk to your employer about supplying a facility. Please get in touch using the form below.